There are quite a few reasons to have Mad Dog Computer make a Built-To-Order Desktop Computer for you instead of instead of buying a ‘ready built’ system from a major name like Dell, HP, Lenovo or Compaq. Quality – For a major manufacturer, saving $1 on a computer component is huge when you multiply that times 10 components per computer and then multiply that times 1,000,000 computers (or more) per month. Every dollar which a major manufacturer cuts out of their product quality counts towards their bottom line but will cost you big time when it fails. When Mad Dog Computer produces a Built To Order desktop computer for you, we don’t cut corners because it doesn’t make sense for us and it doesn’t make sense for you. We use the best components we can get so that you’ll have a great problem free computer for years to come. Warranty – Most major manufacturers warrant their product for 1 year…we do too BUT you get more. That’s because you get not only the Mad Dog Computer warranty on the entire Built To Order desktop computer for the 1st year but you also get the component manufacturer’s warranty in addition. Most of the quality components which we use carry a 2-3 year warranty, some carry a 5-year warranty and some even come with a lifetime warranty. Flexibility – When you purchase a computer from a major manufacturer, you only get a choice of a couple of models because they basically use the 1-size fits all approach. 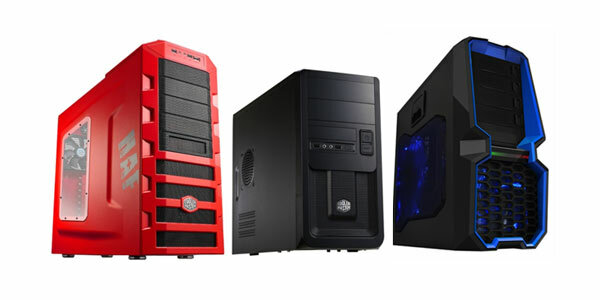 With a Built To Order desktop computer from Mad Dog Computer, you can choose one of our standard configurations or, if you wish, we can guide you through choosing a 100% custom system from your choice of hundreds of different options which will make your system truly unique in look and capability. Upgradability – If you should ever out-grow the capabilities of a BTO system, we can upgrade individual components instead of replacing the entire system. With a system from a major manufacturer, you are frequently locked into 1 configuration and have no option to change or upgrade. Green Options – With every Built To Order desktop computer from Mad Dog Computer, you have the option to spend a little more money and make the system more eco-friendly and have it use less power and generate less heat and noise. This is done through the selection of high-efficiency components, which are specifically designed for this purpose. Do the major manufacturers offer this? I don’t think so. Service – Mad Dog Computer is family owned and operated. We don’t have call centers in India. If your computer has a problem, it will be taken care of by a person you know and who cares about you and your satisfaction instead of a faceless voice half-way around the world. Your computer’s problems will be taken care of in Tigard, Oregon and you won’t have to ship it off to who knows where – having to package it – having to pay postage – having to wait for it to hopefully come back fixed. Standardized parts mean problems are fixed FAST – usually the same day. Every Mad Dog Computer Built To Order desktop computer is built with standardized components which allow us to fix almost every problem without waiting for proprietary parts to become available and arrive. Major manufacturers frequently use custom parts which only fit a single model or series of computers. When a problem occurs with one of these systems, you have to get that specific part to get your system back into operation. If that part is hard to find or in short supply, you’ll have pay whatever the going rate. If the part is unavailable, you have to wait until it is available or get a new computer.